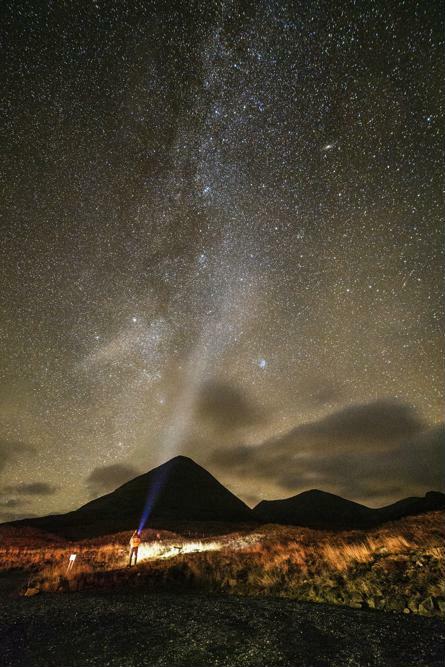 The Isle of Skye has some of the darkest skies in Europe. 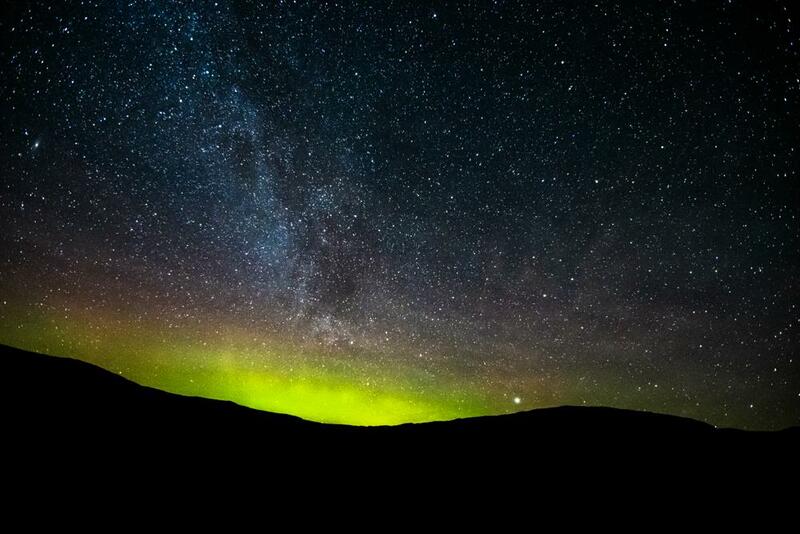 Free from the light pollution which blights towns and cities, our inky black skies present the heavens in all their spectacular beauty. There’s plenty to discover, from the bejewelled cluster of the Pleiades or Orion’s mighty belt in November, to the magical meteor showers of the Perseids or the graceful constellation of Cygnus the Swan in August. 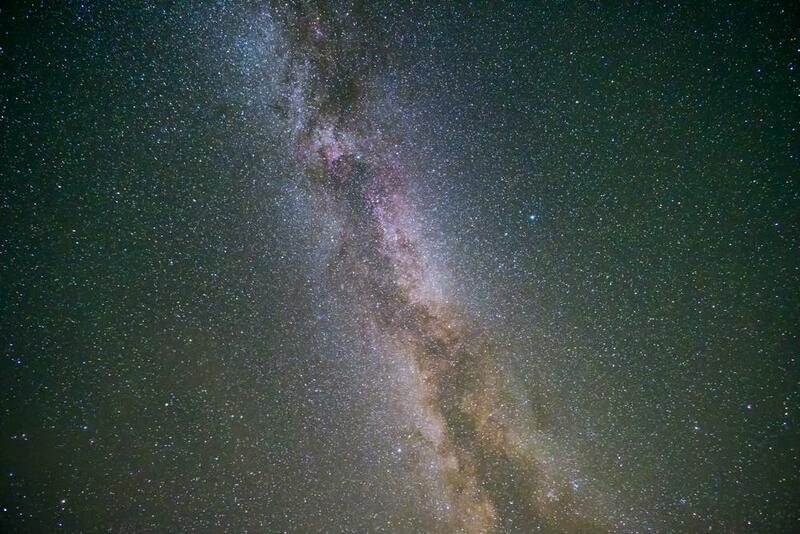 Nine unique locations throughout the island have been recognised as being perfect for viewing our night sky. All enjoy good access with firm ground for wheelchairs and all promise an unforgettable experience on a clear night. One of these locations is less than two miles from the cottage. 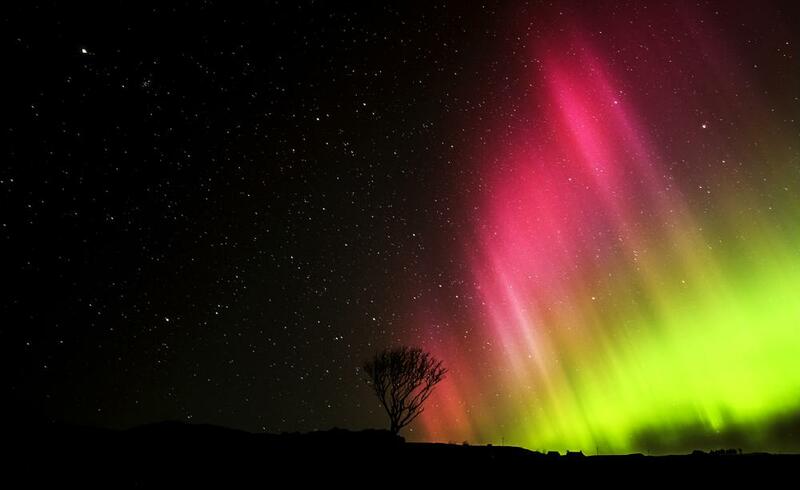 Sometimes you might even be lucky enough to spot the Northern Lights!